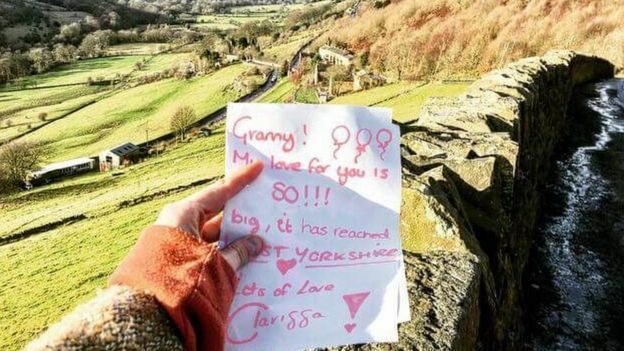 When Clarissa Greenfield’s granny fell ill, the little girl was determined to give her a jolly good cheer-up, enlisting the help of hundreds of kind folk to achieve her aim. 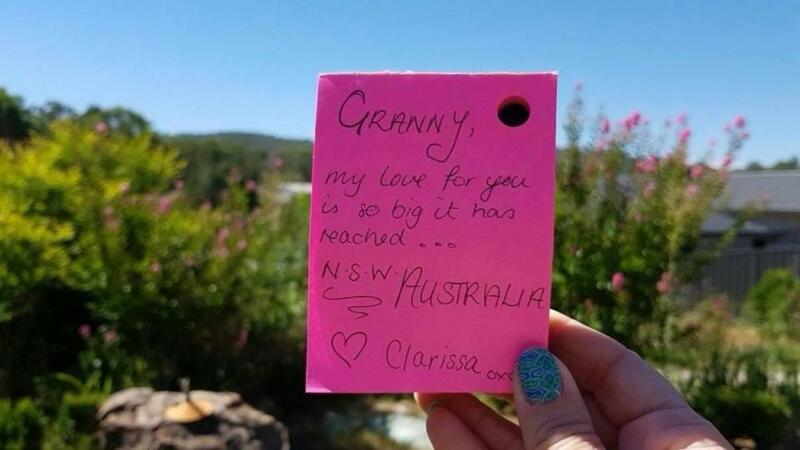 Granny Denise had suffered an aneurysm and Clarissa noticed she was struggling to recover. “She’s lost some mobility and can’t do the same things anymore,” Clarissa’s mum, Felicity Greenfield explains. 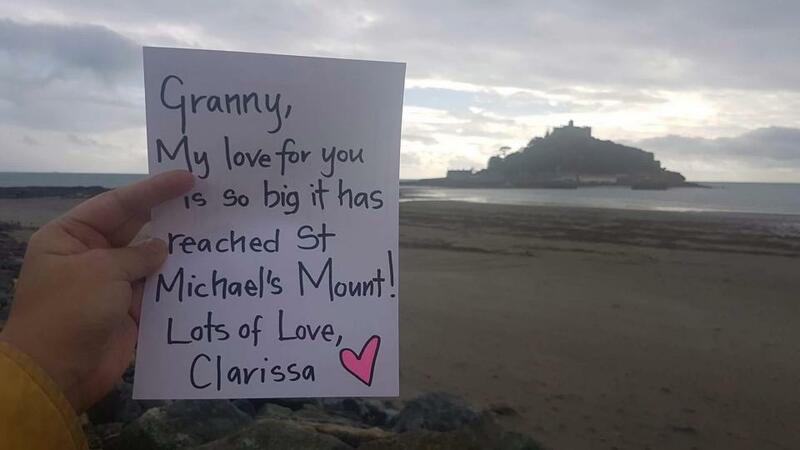 Young Clarissa knew she had to do something to make her granny feel better and she enlisted her mum’s help to get the job done. The four-year-old hatched the genius idea of taking her granny on a sort of virtual holiday. “She wanted to get letters from places they’d been together and places that Granny wanted to go,” Felicity says. Felicity took to Facebook to explain the situation. 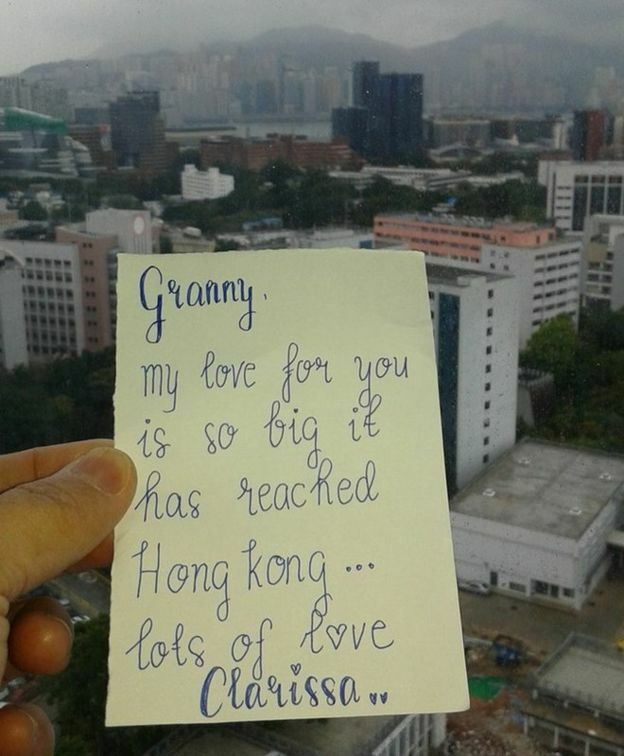 She put a call out to the general public, asking them to send get well notes for Granny Denise on Clarissa’s behalf, from wherever they were in the world. 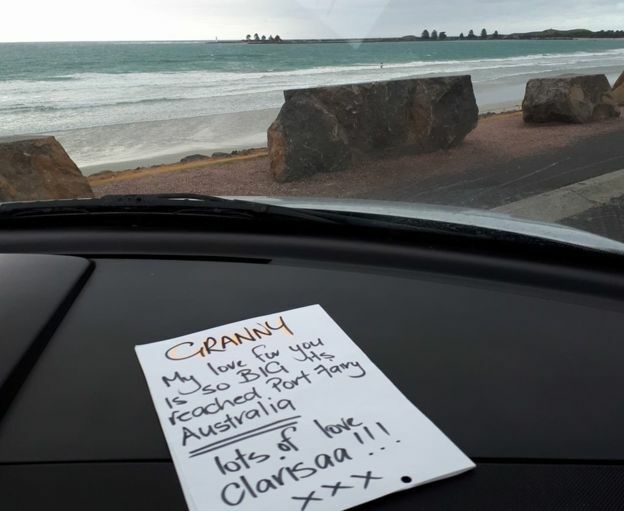 The kindness of strangers well and truly prevailed and the love letters began pouring in. 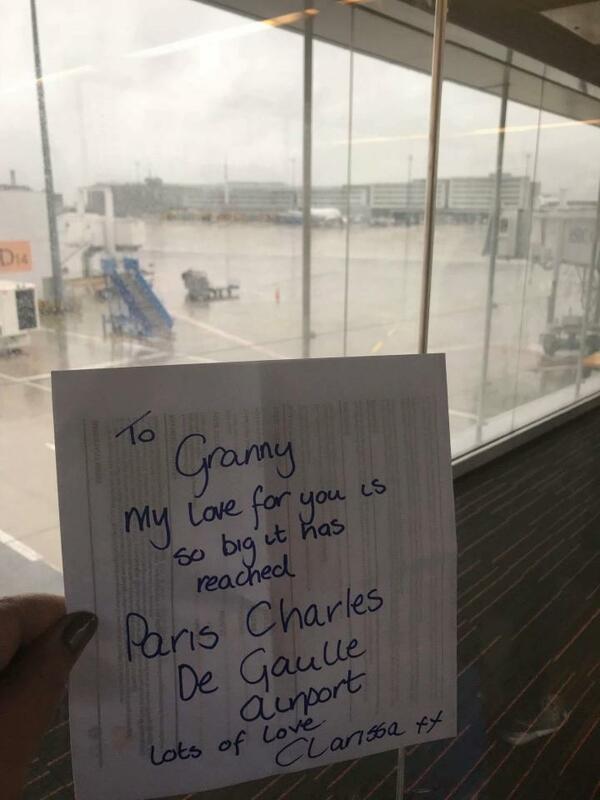 The family are compiling all the letters in a very special scrapbook that takes them all over the globe – from Australia to France to Russia and beyond! The BBC says there are 207 get well notes at last count, but that was a week or so ago. We’re guessing they’re still trickling in. “It’s lovely to see that people are taking time out of their lives,” an obviously touched Denise told the BBC.